Arkansas mother of three, Karen Lamoreaux, speaks to the Arkansas State Board of Education about Common Core in a powerful 4 minutes statement which begins by telling the board that after listening to their statements she has come to the conclusion that "this board is clearly as uninformed as the parents are, or were, when the standards were adopted." Ms. Lamoreaux then goes on to completely obliterate Common Core in a must-see statement. The testimony comes in the wake of major protests against the uniform guidelines. 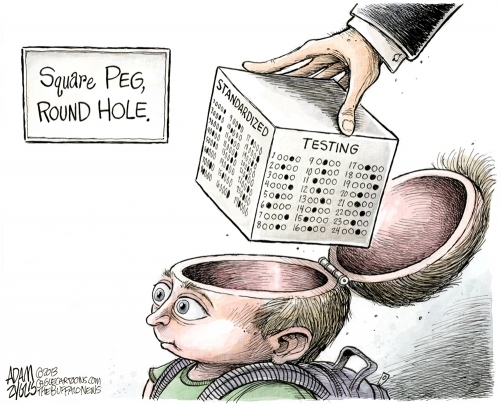 The mom, a member of Arkansas Against Common Core, and identified as Karen Lamoreaux, testified that rather than “a set of rigorous, college-ready international benchmark standards” that the Common Core initiative was touted to be, it tends to dumb down math solutions by, ironically, overcomplicating them. Watch this short four minute statement by an ordinary mother of three below.